1. EMAIL mark@capcover.com . Please attach photos – full front, left and right views. 2. 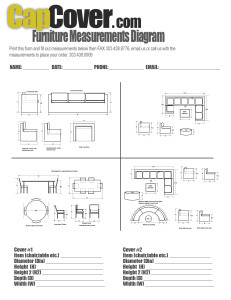 In the email, include the overall measurements of width, height and depth of the piece of furniture. 3. We will email you recommended outdoor fabric information and a price quotation based on overall measurements of piece(s) of furniture. 1. After viewing product pages, selected material and measured the piece of furniture, give us a call – 303.438.0906. 2. We will respond quickly to assist you in processing your order. 3. Once you have placed your credit card order we will provide you with detailed drawings and measurements of each piece of furniture you want covered. 4. You approve final renderings. 5. Once you approve final drawing(s) and all measurements per piece of furniture to be covered we will place your order into production. 6. We will then email you a formal Order Confirmation. If ordering please expect 11-16 business days delivery from date of order placement. Follow payment links on product pages. To make payment visit http://www.paypal.com and click on the “Send Money” tab and follow the instructions. When asked for the reciprocal email address enter: carol@capcover.com. Or, if you wish you could may call in your order M-F; Hours: 10:00 a.m. to 5:00 p.m. MST. Ask for Mark McKinnon. 303.438.0906. 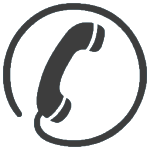 Feel free to call and inquire about any and all of our products!